The air was filled with the familiar fragrance, as she silently entered the room and pored over the desktop on which I was working. The intrusion would have gone unnoticed but for that Elizabeth Arden perfume! I turned around to see Lata standing behind and her eyes rolling like always! I had joined the office barely fifteen days back and got to know most of the people in the team. There were two middle aged men just like any other ones with no motivation. There were three ladies or rather housewives who were in the office more for gossip and learning recipes from each other or discussing a, ‘Saas Bahu TV serial’ and how it would unfold in the coming days. They were the ones who would bring their knitting to office to discuss which design would suit their daughter! Then there was Lata! She was about twenty four years old who was full of life and had very striking features starting from a very well kept jet black hair curled, a very striking face with huge eyes which rolled as she talked, and a well endowed figure! She was always very smartly attired with body hugging salwar kameez or a saree once in a while! She had the dusky features reminding me of Rekha every time I saw her! She could not stick to her seat for more than half an hour anytime and was fluttering like a butterfly! She was the most intelligent of the lot but was inclined more to chat with her boy friend endlessly than spending time on mundane office work. She could be seen in the garden rather than confines of four walls of the office most of the time! During those days I was learning the computer software, Dbase III plus and Lotus 123 on my own during the lunch hours on the new desktop installed in our office! I looked over my shoulder and asked Lata, if she would be interested in learning the computers to which she replied in affirmative. The next few days were spent in teaching her the basics. The rumor mills set the tongues wagging, but I went about my mission. Within one month Lata was proficient with computers and next we went about creating the voluminous records into Database files! Lata was now a model employee and could remain hooked to the computer till the horn of her boyfriend’s motorbike interrupted her. A year later she walked into my room and was all smiles! She handed me over the card and asked me to attend her wedding which was slated a month from the date! An employee who was considered to be a social butterfly had shown others what one can achieve as long as one does where the heart is! The last line is really the dessert forming the strong positive impression about the lady. Do we have still have DbaseIII and Louts? Wonderful story. Best things to follow the heart. @ Lady Fiona- Thanks for liking! This is a true story!! @ Reicha- Agree that ladies are special and deserve to be treated that way! @Sovina- Am happy that you liked my blog! I too enjoyed visiting your blog and it was very nice. @ A- Thanks for visiting this blog! DBaseIII plus and Lotus 123 now RIP! @Spiderdama- Thanks for your nice comments! @ Ashish- Yes in my childhood and all the way till college I played cricket and listened to commentaries in sunny winter afternoons! Maybe the effect has got rubbed into my writing!! @ Saru- What a sound advise! I will retain my id as Rahul Bhatia for future!Also, your new look blog looks as astounding as your poetry! hey.. thx for dropping by on my blog and proving a positive feedback. A very clear picture of Lata and i enjoyed reading it. felt like watching on TV. A person can easily get influenced by the surroundings. If there is a work environment around you, you will also feel motivated and if no one is working , you will also feel why should i work. But a small push f motivation can change the person. Lata seems to be what all of us need to be - followers of our heart. Great post! Loved reading it. @Swati- Am happy you liked it! Thanks! 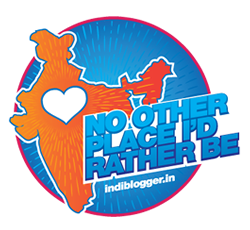 @Sujatha- Am honored with your visit to my blog and for your kind remarks! @Zuzana- So gracious of you for the appreciation! Thank You. @Trupty- Thank you for visiting my blog and am grateful for your kind words! Hi Rahul..not fair, not all ladies discuss Saas Bahu serials or knit in the office. I admit I have seen one or two do that, but most of us like to work. I am glad Lata proved you wrong. Enjoyed the post. second thing, leaving apart what story you have told, I loved the way you describe the scene and character. I mean most of the good writer do this, i have read books in which author described the character in full 2 page..
last but not the least, story. I just want to say, 9.5 out of 10. @ Rachna-Most of the women are more sincere than us men folk!! Thanks for liking! @Sharan-Point taken!Am honored with your generosity in assessment! A nice story Rahul-ji. Yes, if one follows the heart, he/she can reach the destination. We don't need to care about what others will say while we are in the process. Agree with what you say Anand.Thanks! I know that was a pleasant scent. Love Elizabeth Arden!